The Hotel Irma overlooks La Madera Beach from its cliffside perch and offers beautiful views of Zihuatanejo Bay. For this reason alone, it has little trouble attracting guests. The 67 rooms have balconies from which guests can savor the splendid views, and this only adds to the allure. Lovely views can also be enjoyed from the hotel’s attractive pool deck, and there are plenty of poolside chairs and chaise-lounges to take advantage of. There are many reasons why the Hotel Irma can make for a satisfying Zihuatanejo travel base. The beach access, the wonderful pool deck, and the convenient onsite restaurant are among the main perks. Also available for Hotel Irma guests to indulge in is a small spa, and the array of amenities in the tasteful guest units is just one more reason to keep this place in mind. Standard in-room amenity highlights include satellite TV, air conditioning, and hair dryers. Guests should also know that their private bathrooms have around the clock hot water and are stocked with soap, shampoo, and an ample amount of towels. The Hotel Irma is approximately 10 minutes from the center of Zihuatanejo. 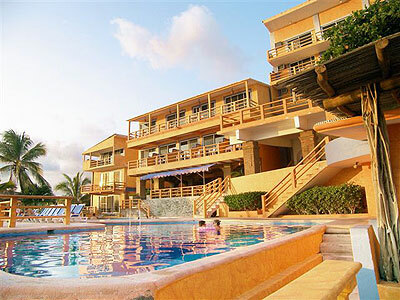 Also within easy reach is Ixtapa, and it is only some 15 minutes to the Ixtapa-Zihuatanejo International Airport. In addition to hanging out at the beach, ideas for things to do in the general area include shopping, golfing, fishing, scuba diving, surfing, and kayaking. The Hotel Irma has English-speaking staff and can help guests arrange any number of fun activities.